It can be carried with or without the letter. 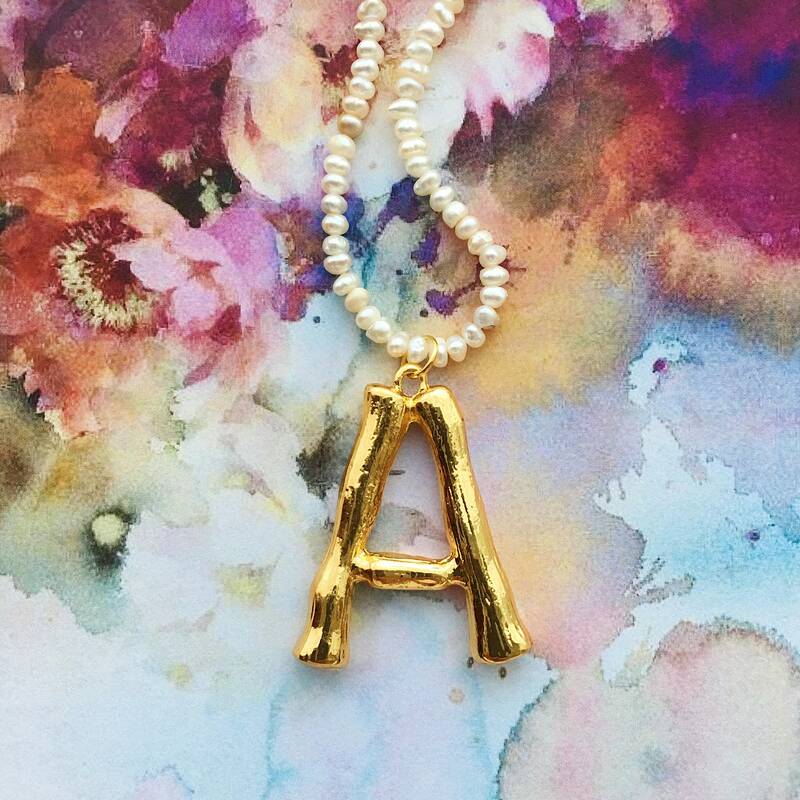 Letter size: 4 cm approx. Pearl Necklace Length: 37 cm approx. 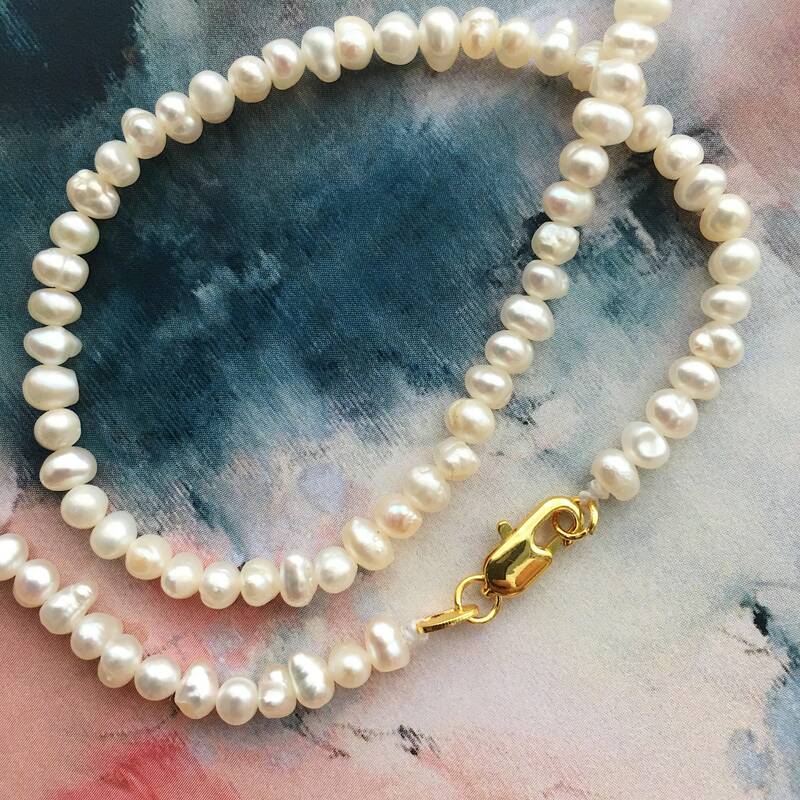 The size of the pearls may vary slightly as they are natural. Do not wet and avoid contact with perfumes.